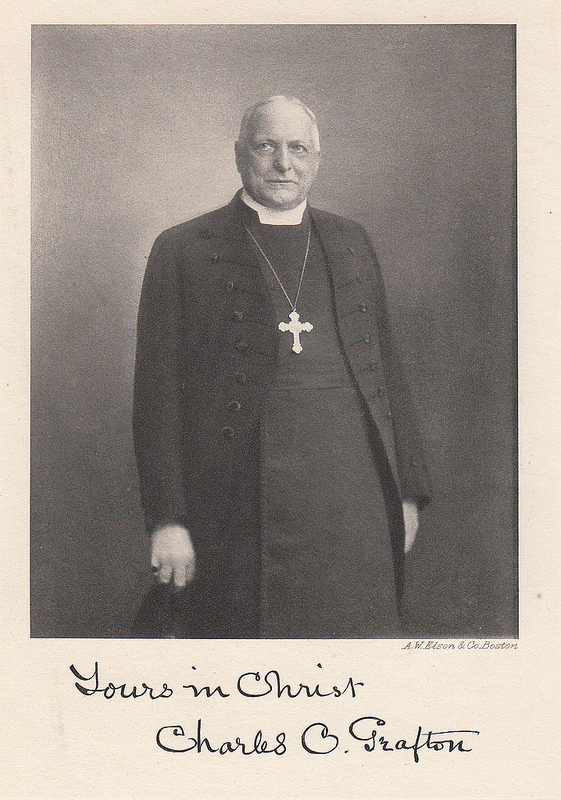 Charles Chapman Grafton was the second Bishop of Fond du Lac, a noted Anglo-Catholic, and an ardent ecumenist. He was also one of the founding members of the Society of St. John the Evangelist. In between a Commission on Ministry meeting this morning and a dinner at my church this evening, I look forward to attending today’s Grafton commemoration at the Cathedral of St. Paul in Fond du Lac. Since I was driving early this morning, I listened to Morning Prayer from the CD Singing the Daily Office by the SSJE community. At the Cathedral this afternoon, we will say Evening Prayer according to the Prayer Book of 1789, which Grafton would have used throughout most of his life. Far from being an antiquarian curiosity, Grafton’s life speaks to me about the importance of both discipline and ecumenism — qualities vital to the Church’s life today, as always. Loving God, you called Charles Chapman Grafton to be a bishop in your Church and endowed him with a burning zeal for souls: Grant that, following his example, we may ever live for the extension of your kingdom, that your glory may be the chief end of our lives, your will the law of our conduct, your love the motive of our actions, and Christ’s life the model and mold of our own; through the same Jesus Christ, who lives and reigns with you and the Holy Spirit, one God, throughout all ages. Amen. This entry was posted in Daily Office and tagged ecumenism, Evening Prayer, Fond du Lac, Grafton, Morning Prayer, SSJE on August 24, 2013 by Rodger Patience.